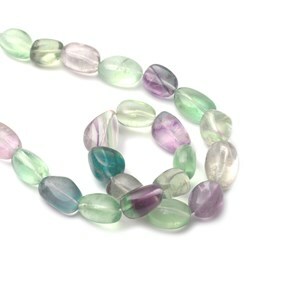 Beautiful natural rainbow fluorite round beads available in two larger sizes. 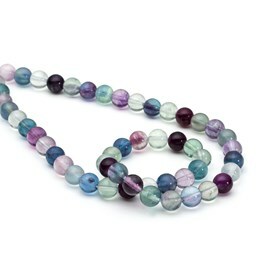 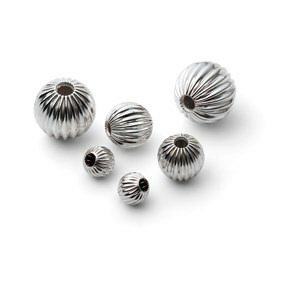 These beads are 'A grade' giving you a pleasant range of colours with each bead delightfully unique. 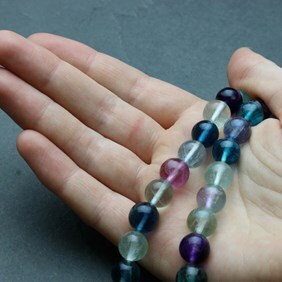 Colours range from primarily green, to purple, violet, clear and blue. 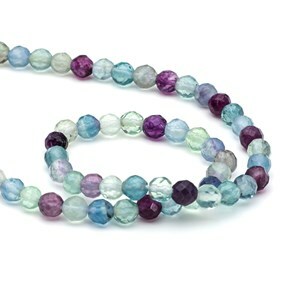 These complement our other rainbow fluorite beads beautifully and work well with other silver beads and findings. 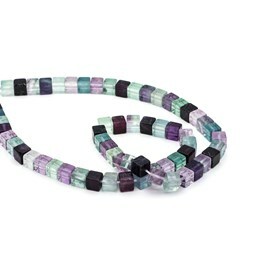 A 40cm strand of 10mm beads contains approximately 40 beads. 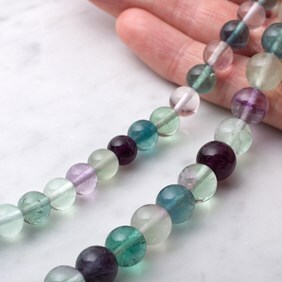 When you buy these beads by the strand you save approximately 28% compared to the loose bead price!